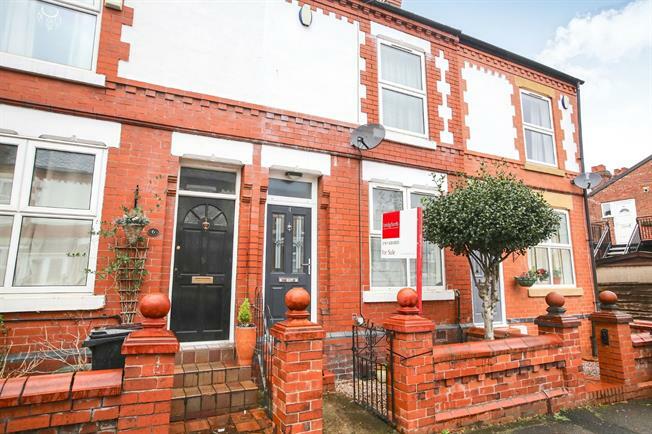 2 Bedroom Terraced House For Sale in Cheadle for Asking Price £210,000. Generously proportioned two bedroom terrace home boasting beautifully presented ready to move into accommodation on the doorstep of Cheadle Village. Suited to young and mature buyers and investors alike the property offers a large modern dining kitchen and contemporary bathroom suit. Enclosed private garden to the rear with on street parking to the front. Comprises:- entrance vestibule, living room, dining kitchen, two bedrooms and bathroom.